Given all the amazing musical-instrument apps on iPhone, it was only a matter of time until someone designed a truly novel instrument app for the iPad. 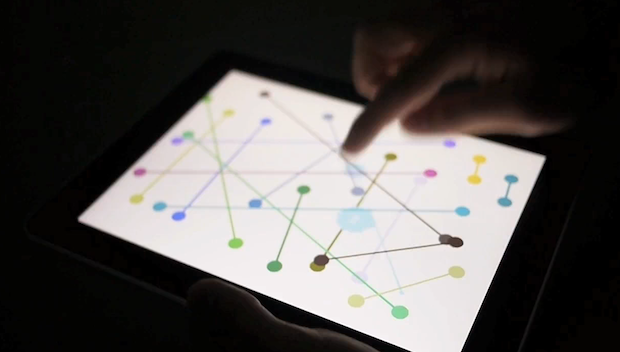 Winner for the coolest among the crop of early entrants: Squiggle, an iPad app in development that allows you to draw lines across the screen, which then become strings that can be plucked like a futuristic harp. & pillow, a Hong Kong design studio, you lay the iPad flat to create your string layout, then tilt it to start playing them. Flipping it over clears the screen.